Johnson & Johnson agreed it would pay over $2.2 billion in order to settle civil and criminal claims that it had marketed Risperdal, its antipsychotic drug as well as other medications for uses off-label and paid large kickbacks to a pharmacy, announced the Department of Justice on Monday. This agreement, which is one of the largest fraud settlements in the health care industry, largely was centered on the antipsychotic medication Risperdal that J&J marketed for the treatment of dementia in elderly patients and in children that suffered from behavioral problems. Settlement for civil claims also resolved the claims that related to Invega an antipsychotic drug that was similar and Natrecor a heart medication. The pharmaceutical behemoth and its subsidiaries agreed to a payout of $485 million for criminal forfeiture and fines and civil settlements in the about of $1.72 billion to states and federal governments. The settlement agreement requires that J&J change its business practices that are related to marketing medications. 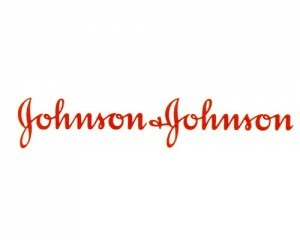 Michael Ullmann, the Vice President and J&J’s General Counsel said the resolution allowed the company to move on and continue focusing on delivering top innovate solutions that enhance and improve the well-being and health of patients across the globe. Risperdal had been approved to treat schizophrenia by the U.S. Food and Drug Administration. However, in 2002 as well as in 2003, sales reps for a subsidiary of J&J urged doctors and others to prescribe Risperdal for symptoms like hostility, agitation and confusion amongst elderly patients with dementia, said court documents. Material for sales emphasized the symptoms as well as downplayed any suggestion of the approved use by the FDA. Representatives of the company received incentives for the promotion of the off label use of the drug, according to the charges filed against J&J. Under the criminal plea, J&J’s subsidiary must pay $400 million to settle its claims and plead to a misdemeanor charge of misbranding. In a civil complaint that was related, Justices said the subsidiary had marketed the drug to control elderly nursing home patients’ behavior as well as children and other people that had mental disabilities. The company, said the Justices, made misleading and false statements about the benefits of Risperdal and minimized its risks.